We offer a professional photograph scanning service. We scan your precious photos onto DVD or USB from as little as 13 cent per photo. Drop off \ collect your photos in Dublin. All photo scanned on a flat bed scanner. Just purchased a digitial photo frame? Make sure to order your copies onto SD card. All images are rotated for Free. Ideal for use in Photo Books, click here for list of providers. Scanning photographs on a flat bed scanner yourself can be extremely time consuming. What should be an enjoyable trip down memory lane could turn into a bit of a chore. So why not let us do the tedious work while you sit back and relax. So take out your old photographs, dust them off, parcel them up and post them to us. Or, if you're worried about losing them, we can arrange a time for you to drop them off in person (after 7.00pm). So why not try our our photo scanning service today? Interested in creating a slideshow click for here for more info. Scanning photographs on a flat bed scanner yourself can be extremely time consuming. What should be an enjoyable trip down memory lane could turn into a bit of a chore. So why not let us do the tedious work while you sit back and relax. 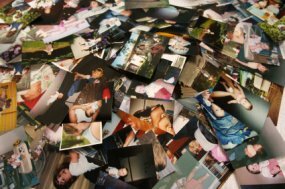 Examine photos Take out your old photographs, dust them off, parcel them up and post them to us. Or, if you're worried about losing them, we can arrange a time for you to drop them off in person (after 7.00pm). So why not try our our photo scanning service today? Interested in creating a slideshow click for here for more info. Really chuffed with the quality and efficient service! Thanks very much it was an excellent job esp the very old photos. If you cannot remove your photos from the album please call to discuss, maybe we can help. Make sure your photos are clean and not dusty or sticky (from being in an album). Preferably sorted into separate themes or titles, e.g. 'Jill and Jakes Wedding 1998'. We use these titles to organise your photographs. Contact us and let us know when you are sending them. We will provide an estimate of processing time, usually 48 hours from receipt. Post them to us - please use registered post. We offer an economy photograph scanning service. All photos are scanned on a flatbed scanner. Copy all images to DVD, or USB key or SD card - you choose. On request we can email copies for your approval and if requested upload to your favourite photo sharing web site. Return to you by registered post. I want my photos scanned. No problem we can do that. Do you copy old photos in to a digital format? Yes we have copied over 100,000 photos. Do you copy old prints? If by "prints" you mean photos, yes we can. Can I use the scanned images for a photobook? Absolutely, I believe that's what alot of people use the service for. Should I get the photos scanned at 300 DPI or 600 DPI? It depends what you want to use the images for. If you want to print poster size then 600DPI would be better, or if your photobook supplier asks for 600DPI then choose 600DPI. Otherwise for viewing on screen 300DPI is fine. Why don't you scan to TIFF format instead of JPEG? TIFF is used by professional photographers, it is so call loss-less format. JPG is much more common, your digital camera or mobile photo will use probably use JPEG, the file sizes are much smaller. You state that you have full permission to copy these images. That you are the copyright holder of the photographs. That none of the photographs could be deemed pornographic. That none of the photographs show scenes of violence. Photo Sizes for photos up to 4" * 5" (we can scan up to A3) scanned at 300 dpi saved as jpeg files, including FREE dvd. Photos scanned at 600 dpi + 50 %. You can email a photo of the album to confirm prices. All prices include FREE DVD. All photos are rotated FREE. Once your scanning order, is above the minimum value, prices are charged per photo scanned. See An Post for details Standard Postal Rates Registered Postal Rates Is it a Letter? a Package? or a Parcel? Request for payment can be made through Revolut see here for further information or PayPal, once your parcel is sent. If you have some questions or need help! Please Contact Us. Excellent service. Such a quick turn around, sent on a Sat and I was looking at the scans by Tuesday! It's a great sense knowing the photos are backed up. I'll be arranging for all my old photos to be scanned too. Thank you very much for scanning the photos. My family love them ! Thanks so much. You did a brilliant job. 2500 family photos now safely archived. Kevin, Dublin March 2016 Thanks a million. Exceptional service, thanks. In comparison I recently used another photo scanning service for 40 photos for Eur55.00. Gary thanks a million for a superb job - particularly as some of the photos were in albums over 50 years old! We really appreciated your very speedy and professional service. Thanks for your work! The photo album we made was a great success. I'm delighted with the quality of scanned pics, thanks. Photos are great. Have already recommended you to lots of friends. Thanks again for your speedy services. Thanks so much. Checked the photos out on my laptop just now and they are amazing. Thank you so much for such a professional and prompt service. I really hope that your Business does well. I had been shopping around on line to get old photos transferred to CD. I found all of the main shops were charging Eur1 per photo for this service which I found very high. I came across this website online and I have to say the service has been fantastic. The rates charged were great and I had my photos and CD returned to me promptly. I would definitely use again and recommend to all my friends. A great service at a great price. A truly professional and very efficient service, I would have no problem recommending Yourphotoscanned.com to anyone. Professional,efficent and fantastic value for money! I am delighted with this service.I would highly recommend it to anyone who has precious photos to scan. Gary was my point of contact and I found him to be extremely professional and trust worthy, I have never experienced such a competitively priced, professional service and I will definitely be availing of it again.Thank you! I did my homework and these guys were really good value. Am really pleased with the scanned photos which included some old one. Thanks again. I found this service extremely efficient and very competitively priced. I would reccomend using yourphotosscanned.com to anyone. Fantantic service, Super price and the Quaility is excellent. Would highly recommend and will use again. Service was great, so handy to be able to hand over pictues and have them back within 48 hours. Very quick, convienient and reasonable. Your Photo Scanned.com were fantastic; they offered a really efficient and professional service and were a pleasure to deal with. I've no doubt I will be back to them again. I needed photo's done last minute for a Christmas present, the service was fast, reliable and the quality of the product was fantastic. Absolutely no hesitation in recommending yourphotoscanned.com to others. I will definitely be using the service again, its great! Just a quick note to say thanks again for giving me back so many good memories! Its fantastic to have my photos on a disc where I can easily send them to friends or post them online. Thanks also for doing it so quickly, your were a star! 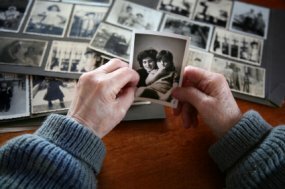 We utilised yourphotoscanned to upload a lifetime of old family photos to make an online photo album for our parents anniversary. The quality is superb and delivery is extremely prompt. I would certainly recommend this service to anybody who needs such a service at a very reasonable price. 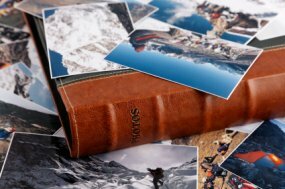 I used this company as I needed photos scanned at last minute to create a photo album, I found the service very efficient, of excellent quality and very good value. I would use this company again and would recommed to anyone requiring this service. Excellent Service, couldnt fault it. I am very pleased with the quality of the scanned photographs - my expectations were exceeded." I used this service for a big pile of old, family photographs and would highly recommend getting this done. It made a great Christmas present and was great value. Worth every cent." I used yourphotoscanned for scanning hundreds of old family photos. Excellent quality and price. Service was superb and could not recommend it more. Will definitely be digging out more photos and use them again so I have everything digitalised. Please note these suppliers are mentioned here for information only, I have no affiliation to them. We scan images to 300 dpi by default, but we can scan at the higher 600 dpi on request. A type of memory card commonly used in digital cameras and electronic picture frames. Most computers also have SD card readers. Mobile phones generally use a smaller version mico SD. Some Television sets\DVD players can also read data from SD cards. A type of memory stick used for transferring data between computers. Some television sets\DVD players can also read data from USB Keys. Also known as thumb drives, USB sticks. When it comes to digital cameras, the picture quality capability is measured in megapixels. For example, a 3.1 megapixel camera can take pictures with a resolution of 2048 x 1536, which equals 3,145,728 pixels. Typically a photograph that is 4" * 6" scanned at 300 dpi will be a 2 megapixel image whereas scanned at 600 dpi it will be a 4 megapixel image.